Once you found the list you were looking for, click on its display name. You will see settings page with five tabs: General, E-Mail Addresses, Mail Flow Settings, Permissions, and Member Of. Let's take a closer look at all tabs. In General tab you can change Display Name and hide the list from address book by checking the corresponding check-box. 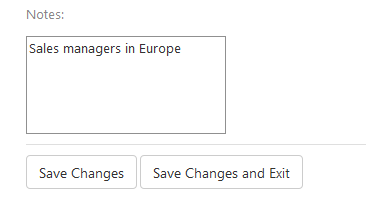 You can also change the manager of this list, and select a location for a list from the drop-down menu. Next, you can add members. To do so, select them from the drop-down menu and click Add. Please note: you can add both mailboxes and distribution lists. Finally, you can add a note for a list. When you're done here, click either Save Changes or Save Changes and Exit. The first option will leave you at this page, the second will redirect you to all Distribution Lists. 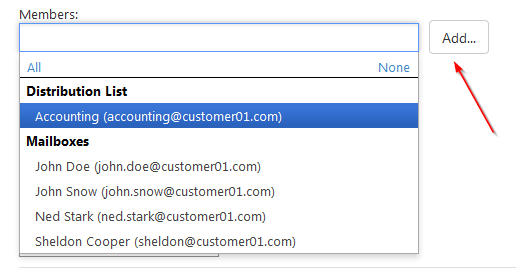 In the next tab, E-Mail Addresses, you can manage emails for this list. There always should be one address that is used by default. You cannot delete it. If you need to add another address, type it in and click Add E-mail Address. Below you will see the list of all emails for this Distribution list. 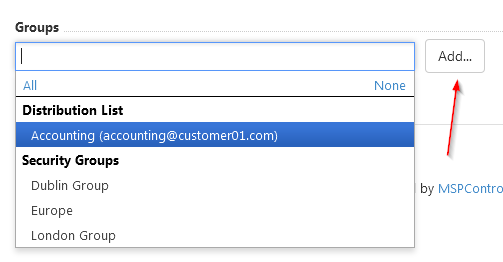 If you want to set another address as primary, select it and click Set As Primary. You will see a notification that primary email has been changed. 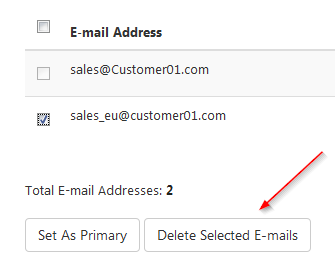 To delete email addresses, select them and click Delete Selected E-mails. 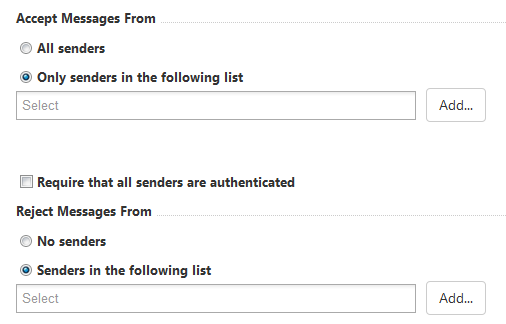 In Mail Flow Settings tab you can set who can send messages for this list, and decide whether you want messages from certain emails / lists to be rejected. 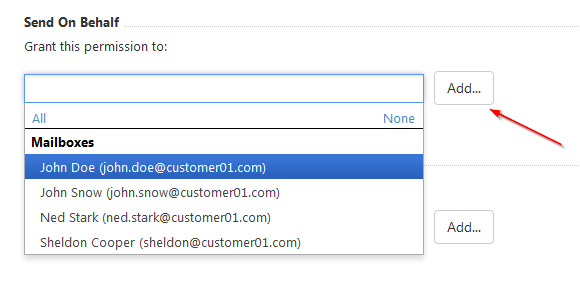 In both cases, check the option you need and select mailboxes / lists / groups from the drop-down menu and click Add. Don't forget to click Save Changes when you're done. Next, in Permissions tab you can change settings for On Behalf Of, and also Send As settings for the list. Send on behalf means that selected users can send messages on behalf of that list, and his correspondents will be able to see who sent this message on behalf of the list. E.g. John Doe on behalf of sales_eu@customer01.com. Send as means the correspondent will see that the message was sent by sales_eu@customer01.com, and will not see the exact user who sent it. 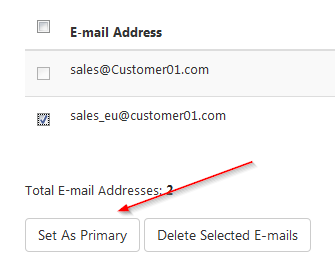 Select mailboxes from the drop-down list and click Add. The same procedure applies when you want to grant the permission to Send As to certain users. Finally, at Member Of tab you can add the distribution list into groups. Again, select group(s) in the list and click Add.